The EP101 Echoplex® Preamp recreates the magic of the Echoplex EP-3’s preamp section, coating your guitar signal with secret sauce. What do we mean by that, and what’s the deal with the EP-3? Read on! The Echoplex EP-3 tape echo unit has become a legendary piece of gear among tone connoisseurs, but not only for its delay effect. Guitar players discovered that the EP-3 somehow sweetened up their tone, whether or not the tape echo effect was active. Built using Field Effect Transistors instead of the tubes used by the EP-1 and EP-2, the EP-3’s preamp provided an organically warmer and fatter sound when players ran their signal through it. Guys like Jimmy Page, Eddie Van Halen, and Eric Johnson made it an integral part of their sound, taking advantage of the way it warmed up the distorted tones of a cranked tube amp while taming high end harshness. Nowadays, the EP-3 is difficult to get your hands on—a fully intact, working model could set you back more than $500. If you do get your hands on one, you will be presented with a few potential issues. First, they require a bit of maintenance. Second, their sound and behavior—from model to model and even from use to use with an individual unit—can be inconsistent. Finally, these things are the size of a small amplifier head. Eric Johnson has been known to put one right on his pedalboard—not everyone wants to sacrifice the real estate or lug another 15 lbs. of gear. But have no fear—the Echoplex Preamp gives you the sound of that prized box with none of its complications. Dunlop’s Director of New Electronics Jeorge Tripps designed this pedal with the exact same signal path as the EP-3, and to get the secret sauce just right, he used two of the finest EP-3 specimens to ensure that the EP101 nails that classic sound across its range. Now, you can get the EP-3’s sonic mojo in a small stompbox and gig with confidence that it will do what you need it to do to every time you kick the switch. While the EP101 can boost your signal by up to 11dB, that’s not its main purpose, nor is it a clean and transparent. The EP101 is all about conditioning and sweetening up your tone—use it as a lead boost and crank the Gain control for increased output and some light asymmetrical clipping, use it as a second channel to change up your tone mid-set, or leave it on all the time. 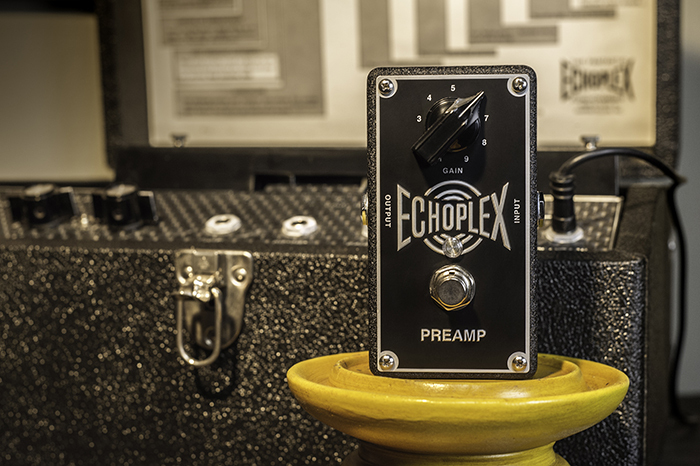 However you use it, the Echoplex Preamp will breathe new life into the sound of your whole rig. 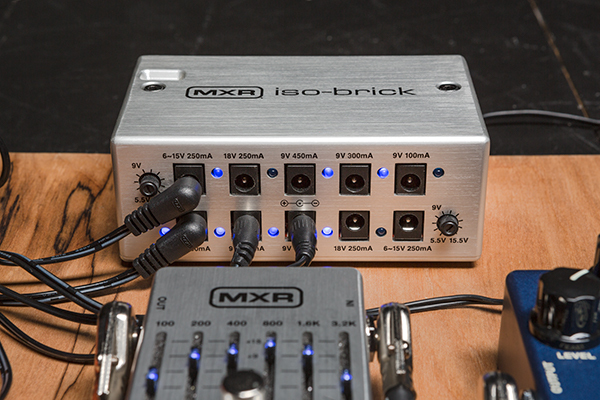 Where should you put the EP101 in your signal chain? 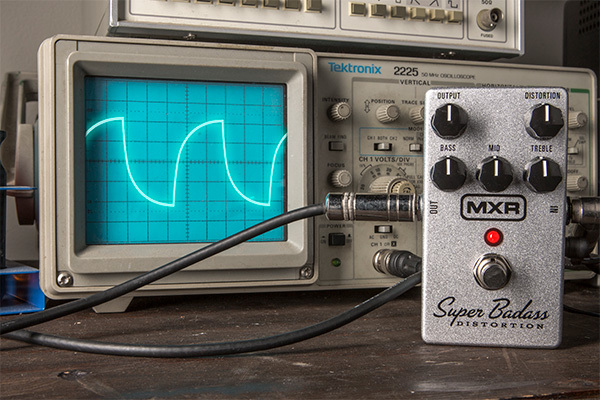 As with any pedal, experiment with the Echoplex Preamp’s position in your signal chain. We do have our own suggestions, of course. 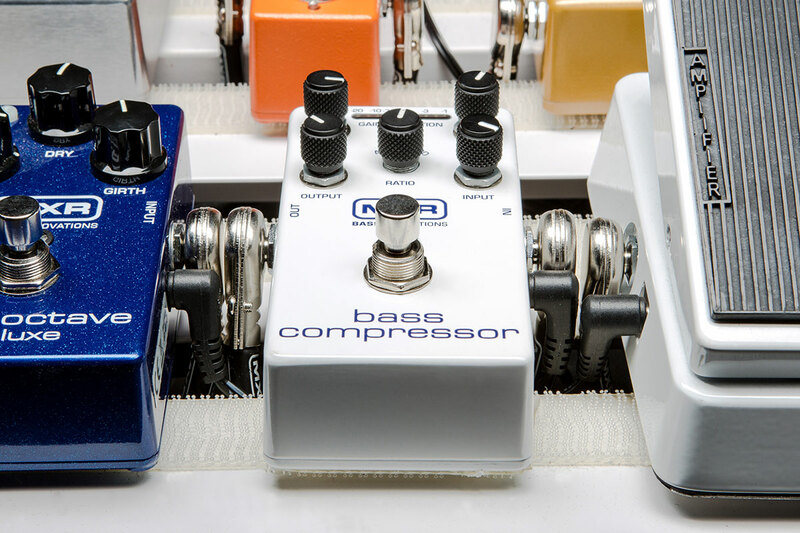 For a great lead sound, try placing it after your overdrive and distortion pedals to add girth and a bit of volume boost. If you want the pedal’s active all the time or you want to use it as a second channel tone, try placing it either at the beginning or end of your signal chain. Also, got a Way Huge Supa-Puss Delay? Placing the Echoplex Preamp in front of that box will get you close to the EP-3’s tape echo sound. But again, we emphasize, experiment! Find your own sound. The EP101 will add a whole new dimension to your tonal palette. Want to see the Echoplex Preamp in action? Check out our own demo below. After that, check out Sonic State’s discussion with Adrian Utley from Portishead, featuring a comparison of the EP101 and the EP-3. The Echoplex® EP-3 tape machine was the secret ingredient in some of the most iconic tonal recipes from the ’60s and ’70s. Top guitar players loved its deliciously warm, organic modulation and sweet musical voice of the preamp so much that they’d use it as a tone-sweetener with the delay effect turned off. The problem for modern players is that the original EP-3 machines are expensive, temperamental, and larger than a VCR. They require a ton of maintenance, and it’s increasingly difficult to find the correct tape cartridges. So even if you can find and afford a perfectly running EP-3, a single gig can take quite a toll on the machine as well as wear out your precious tape. But that doesn’t mean you can’t have the EP-3’s sonic mojo for yourself. We created the Echoplex line of pedals to give you that sound in a convenient, pedalboard-friendly form that you can take on the road. 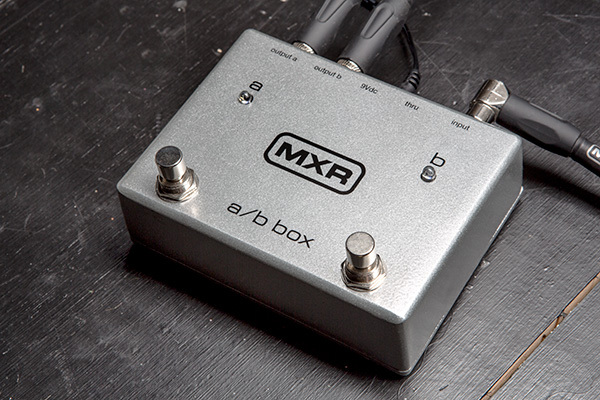 Last year, we came out with the Echoplex Preamp. 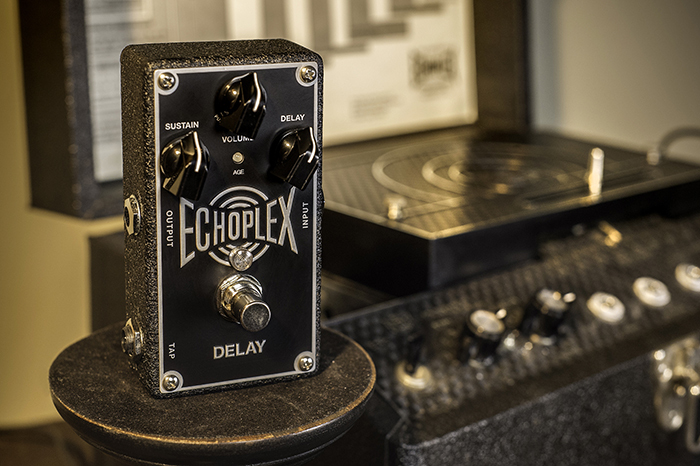 This year, we’re releasing the second component of the EP-3’s signature sound in the form of the Echoplex Delay. Like the Echoplex Preamp, it’s the size of a Phase 90, and it delivers the EP-3’s legendary tones with a simple control interface and a hi-fi all-analog dry path. 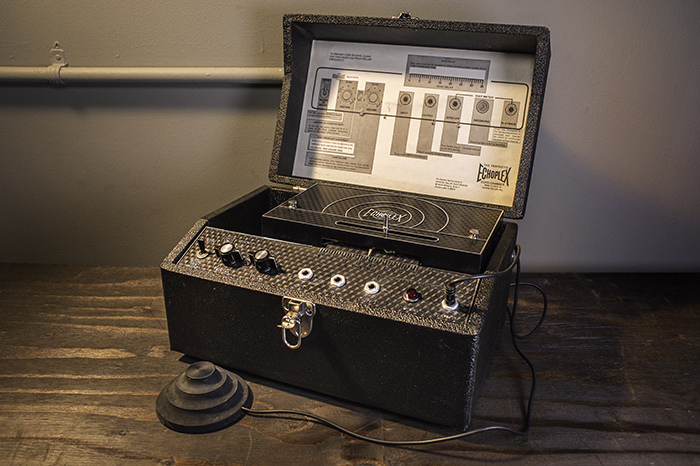 If you’re not an advanced tonechaser, you may never have heard of the Echoplex EP-3. But you’ve definitely heard what it can do. Eddie Van Halen is known to have used them religiously in the early days, even taking his units on tour. Jimmy Page, who originally used the Echoplex EP-2 unit, switched over to the EP-3 as soon as it came out, and it remains an essential part of his rig. Brian May had his EP-3s modified to extend delay time. Eric Johnson has used them for years, even putting them directly on his pedalboard on occasion. And that’s just to name a few. To get at what made the EP-3 so appealing to these and other guitar greats, we had to focus on the EP-3 in two separate elements: the preamp and the delay effect. There’s nothing transparent about the EP-3. 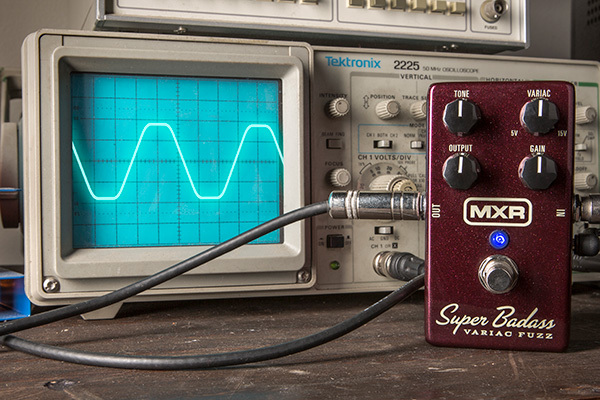 If your signal goes through it, your tone changes—even if you don’t use the delay effect. Turned out some guitar players loved that tonal seasoning. It’s all thanks to EP-3’s preamp. The Echoplex EP-1 and EP-2 machines sounded rich and warm thanks to the tubes in their preamp sections, but their repeats tended toward muddiness. The EP-3, on the other had, uses a solid-state preamp—providing much needed clarity—with a Field Effect Transistor (FET) supplying depth and warmth in place of tubes. 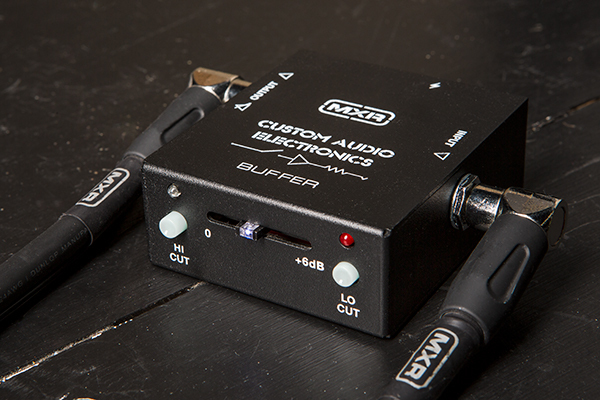 The Echoplex Preamp sweetens up your sound in the same way. Its circuitry follows the exact same signal path as the EP-3, including the FET circuit, so when you kick it on, you’re adding the same secret ingredient to your tonal recipe that was favored by the aforementioned guitar greats. 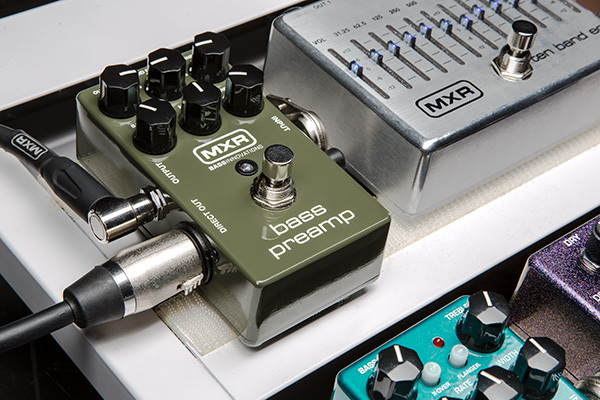 The Preamp’s single Gain control sets the pedal’s volume and can boost your signal up to +11dB. At higher settings, you’ll hear slight asymmetrical clipping for some very smooth and organic grit. The charm of the EP-3’s delay effect is that each repetition is unique. When you play a note, it’s recorded onto the tape and played back. The first repeat is clear, but because of the slight pitch changes inherent to tape machines that are imparted onto the signal, it’s not identical. That slightly imperfect first repeat is itself recorded for the second repeat, which now includes new imperfections in addition to the old ones. 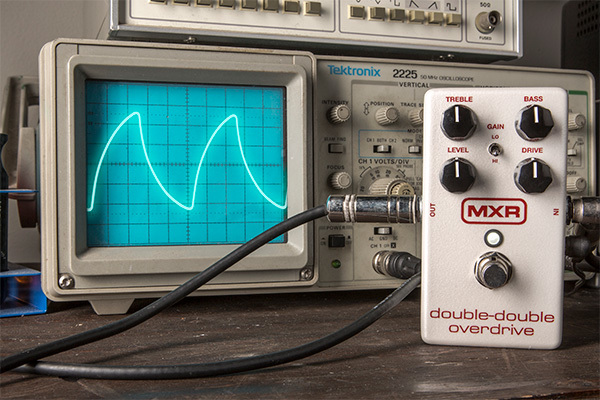 We created the Echoplex Delay pedal to provide that same charming “copy of a copy” magic and more. 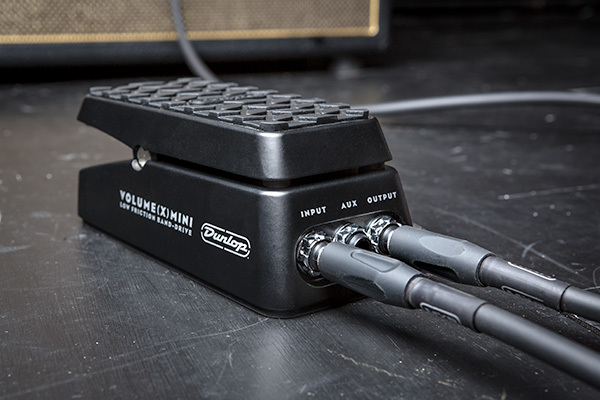 Rather than just recreate the sound of a pristine EP-3, we wanted this pedal to give players the full range of tones available from an EP-3 machine throughout its lifetime. To start, we gathered up seven different EP-3 units. These machines are 40 or so years old by now, so quality and condition are all over the place, and we wanted to be sure we had a good selection of units to evaluate. We chose five of them to be serviced and calibrated, and then we picked the best sounding one—the one with the least wow and flutter—to be the default sound. We used the other machines to dial in the range of sounds for the Age control, which allows you to “age” the delay signal from clean and clear to dark and distorted. Tape echo machines have a lot of moving parts, and over the years, they lose functionality and break down. This can add gain, distortion, and wow and flutter while darkening up the tone—characteristics that many guitar players have come to love about their maturing EP-3s. We simulated those changes so you can use the Age control to make your repeats sound like a brand new EP-3 or one that’s been sitting in your garage for a few decades. Taking the Age control fully clockwise can take you into freakout territory, beyond the aging effects found in any of the units we worked with. 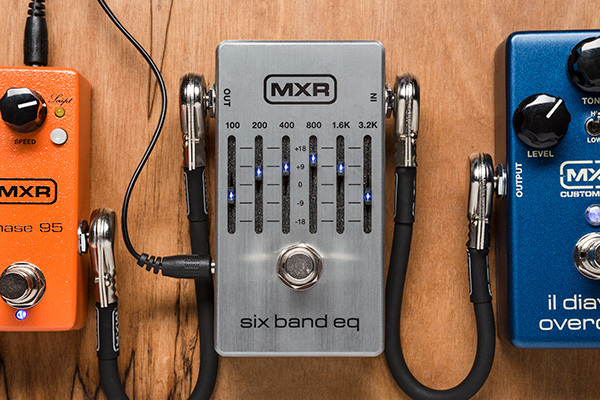 With the Delay control, you can set the time between repeats to anywhere from 40ms to 750ms, but the Echoplex Delay can be connected to an MXR Tap Tempo Switch to set delay time up to 4 seconds. 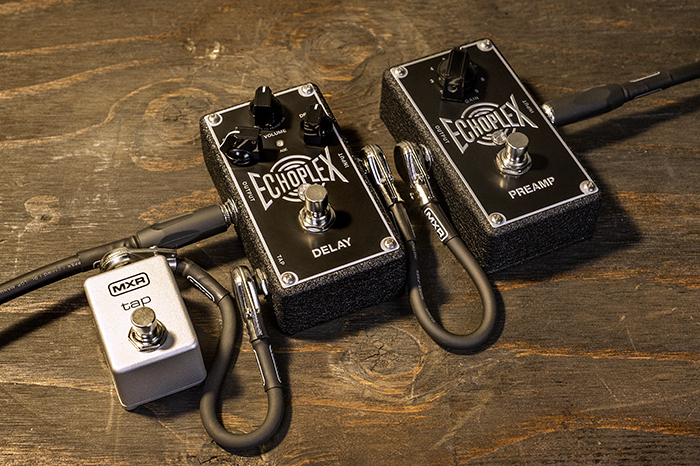 Combining the Echoplex Preamp and the Echoplex Delay pedals allows you to condition your guitar tone as an “always on” effect with the preamp and kick on the delay effect as you need it. All you need to do is put the Echoplex Preamp in front of the Echoplex Delay in your signal chain. While the Echoplex Delay’s effect signal is already conditioned with the tonality of the Preamp, putting the Preamp in front of the Delay ensures that the “dry” signal going through the Delay is also sweetened up by the Preamp. 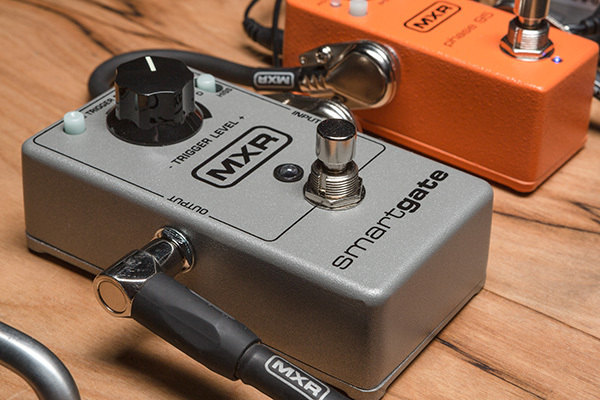 It’s like having the full EP-3 on your pedalboard, but instead of having to dial the delay function up or down with a knob, you can step in and out of it with a footswitch.